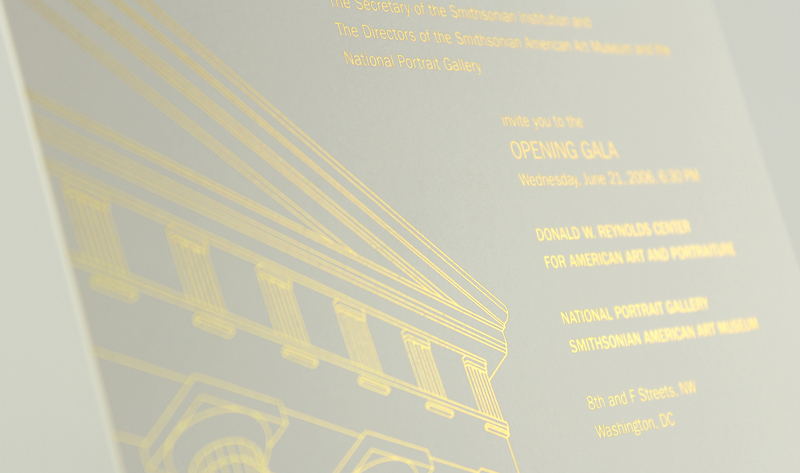 The Smithsonian American Art Museum and National Portrait Gallery are home to some of the United States’ most revered works of art. 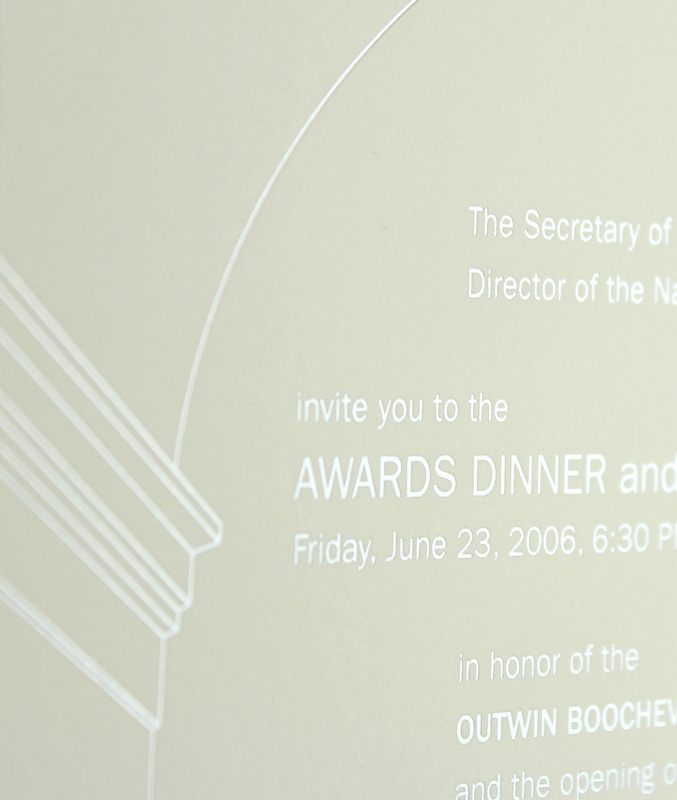 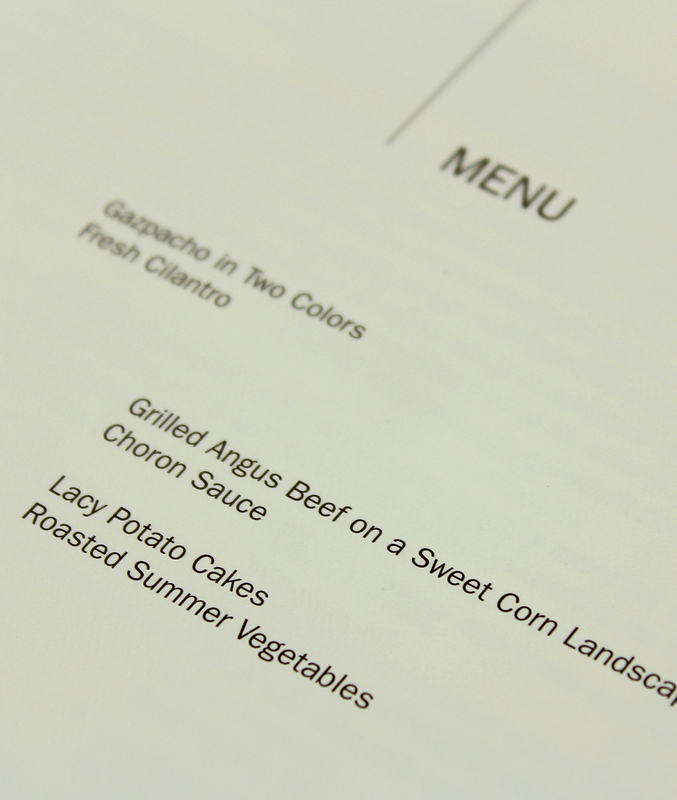 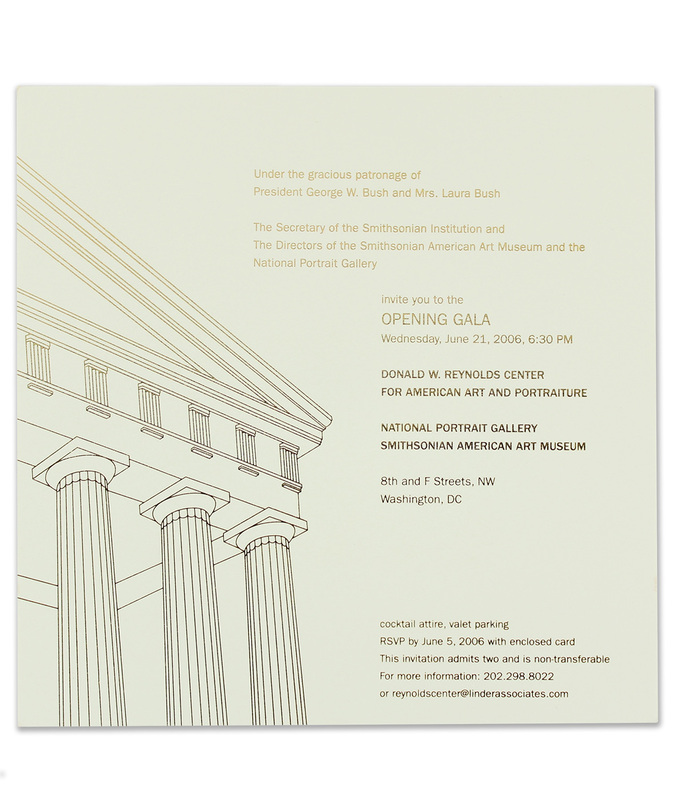 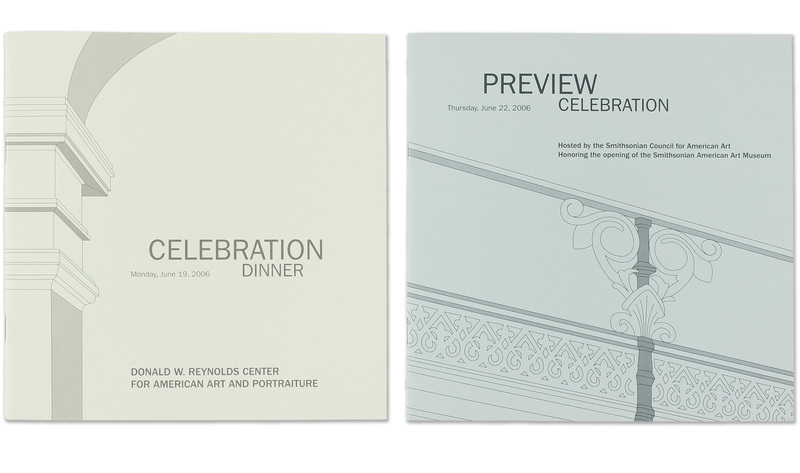 The event identity and collateral pieces for the dedication of the re-opened Donald W. Reynolds Center for American Art and Portraiture highlighted the sophistication and grandeur of the landmark Greek Revival building—one of the oldest federal structures in the city and beloved by Washingtonians. 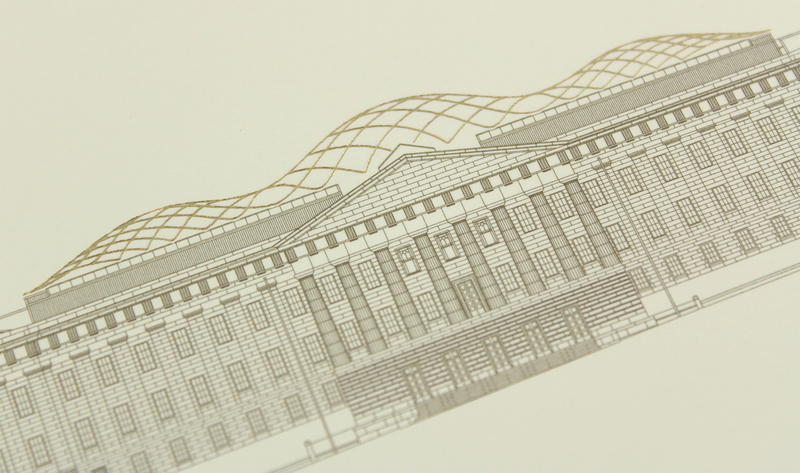 The building’s architectural elements were highlighted by line-drawings printed in metallic foils.